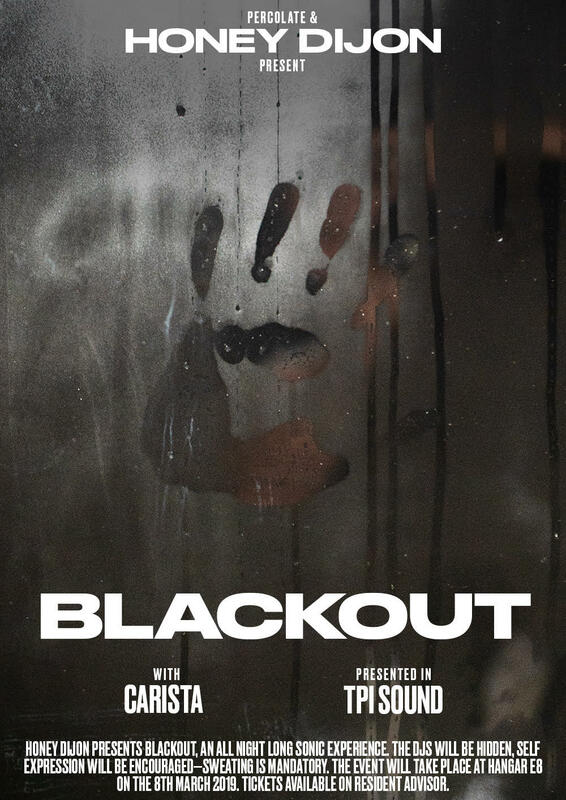 This March, prepare for an all night long sonic experience as Honey Dijon presents… Blackout. The DJs will be hidden, self expression will be encouraged – sweating is mandatory. With a very special guest Carista providing a mesmeric supporting performance, this one is set to be an instant classic. We’re turning down the lights at Hangar London Fields on 8th March 2019. Get your tickets now on Resident Advisor. A Percolate presentation, in full technicolour and bespoke TPI Sound.